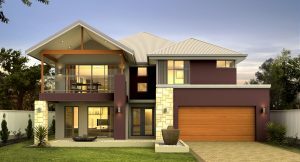 Great Living Homes are custom home builders Perth WA and they have been building custom designed homes for over 25 years, in addition to their architecturally designed standard range of homes, granny flats, apartments and townhouses. With a great team of knowledgeable, experienced staff including architects, drafters, engineers, estimators and schedulers, shire and client liaisons and of course our amazing construction supervisors; if you can dream it then we can build it! When we talk about Custom Home Designs we are referring to home designs that are ‘made to order’, this generally means a non-standard design which is created by the client in collaboration with an architect. While most builders have a range of standard designs, many don’t allow you to make alterations to their plans or if they do they will charge you an arm and a leg to do this. At Great Living Homes, we encourage our clients to make any changes they feel necessary to make their home more personalized to their tastes before signing any contracts, this way the client is only charged for variations made to the plans after the contract is signed which potentially saves them thousands of dollars. In the event that our standard designs just don’t fit the clients’ needs, we will commence drawing a custom home design from scratch including all elements they require. Custom Home Builders Perth can generally add in any features you require, some of these features you may not have even known were available such as ducted vacuum systems and intelligent wiring – I was amazed when I first heard about a ducted vacuum system we had installed in one of our clients’ homes along with an elevator! Technologically advanced features such as these can be expensive because they are considered luxury items however more and more of these ‘luxuries’ are also becoming more desired in new homes and therefore more affordable such as smart controllers for home security and lighting which allow you to turn security systems, lights or fans on and off remotely via an app on your smartphone. Energy efficient electrical appliances are a common requirement for new homes these days due to the push for renewable and sustainable resources, but also for cost-saving purposes; walk in robes, dressing rooms,large windows, ducted air-conditioning, outdoor kitchens and additional storage spaces are all custom features that are in high demand and are starting to be added in as features of standard home designs. Then there are the things you hear about or regularly see in American movies which are now becoming more popular in Australia such as panic rooms, guesthouses, gymnasiums, elevators, driveway alarms, mudrooms, heated flooring and sculleries. So if you get stuck for a custom builder Perth or you just can’t find the home design you are dreaming about, get in touch with the team from Great Living Homes and they will guide you through the entire custom design process to create the home you’ll love for years to come.